Today we’re introducing yet another successful ISS grad, Darice Russell. Darice is such an inspiration for those who have ever experienced the frustration of losing a job. Now, six years after she finished Internet Scoping School, she’s opening up about how things have been going for her. Thanks for joining us today, Darice. Tell us a little about your background. When did you start scoping, and what made you decide to learn how to scope? After unexpectedly finding myself divorced in 2006, I began “scoofing” for my sister to earn extra cash. At the suggestion of the reporter, I enrolled in Internet Scoping School and began the coursework while working full-time at AT&T and part-time as a “scoofer.” My plan was to complete the course and work weekends and staycations as a scopist, building a client base in preparation for retirement. Thank goodness for preplanning: in 2011, I was laid off at AT&T. In a little over 5 years, the life I had spent 25 years constructing completely imploded. Single, pushing 50, no kids, the closest big town to me is 22 miles away, a college town where the average wage is $15.00 per hour, an uncertain economy which did not favor hiring new employees (especially old ones accustomed to over $50,000-per-year incomes), and I’m suddenly a full-time professional scopist. That was challenging! But as far as the online course, the biggest challenge was just finding time to get it done. At the time I took the course, I had a full-time job, was working part-time for my sister and trying to complete the ISS course. 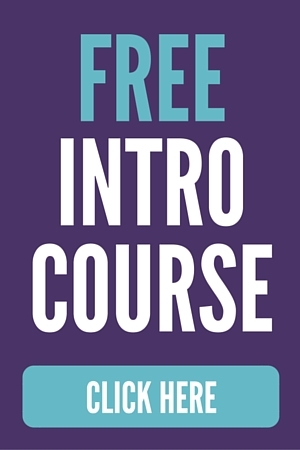 I loved the self-paced coursework and was grateful for it. Reading stenography was the most valuable thing I learned. With the shift to audio and videotaped depositions and trials, the requirement of reading steno is not as prevalent, but it sure comes in handy upon occasion. The software instruction also provided a great jumping-off point for navigating the Case CAT program. Learning how to move around in the software gave me confidence to explore and discover some of the amazing capabilities available for editing and transcript production. Scoping and working at home has afforded me the opportunity to enjoy my favorite place on earth. I live on the northeast corner of an entire section of cotton farmland with a Basenji, a Blue Heeler, a semi-feral cat and 4 parrots. My “office” is the front room of my house and my work station is directly centered in front of a five-foot picture window. For those unfamiliar, this part of Texas is FLAT. I joke that I can see all the way to where the earth curves, and a lot happens between here and there. From my vantage point, I watch weather cross the South Plains and local wildlife cross my front yard, farmers working the fields, crop dusters in the air, and the various growth stages of the crops (and weeds), from planting to stripping. I think my first client came through the ISS job board. That was 6 years ago. At this time, I have about 25 clients, some I hear from regularly and some I might hear from once or twice a year. I have about 5 reporters that I work with on a semi-steady basis. 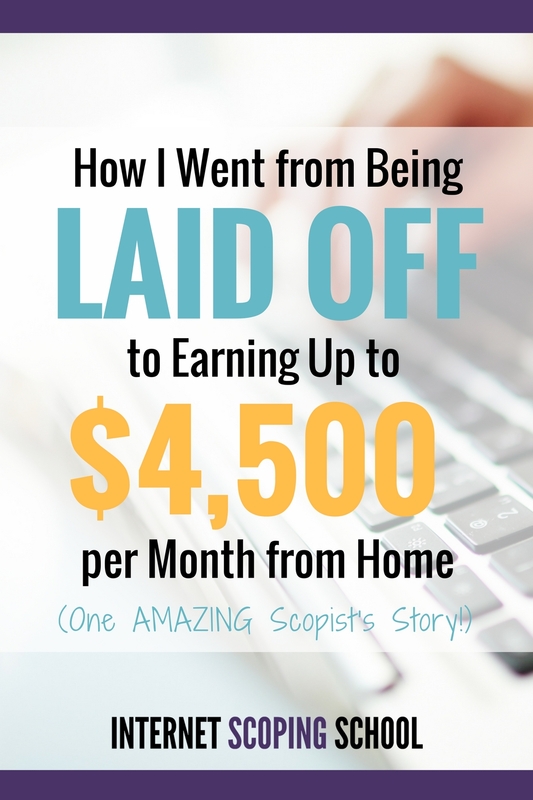 My income when I first got started was about $500 – $800 per month. There were a few spikes while working dailies, but the first couple of years was pretty rough. At this point, my average income range is between $1,500 and $4,500. This is very dependent on the “feast or famine” nature of this business and whether or not I am booked for dailies and trials. I am not part of a large-team dailies pool, but do get a lot of work from those type of scoping arrangements to tag-team or share dailies. What’s your favorite aspect of scoping? Scoping suits me because I’ve always been an avid letter-writer and reader. I love the varied subjects and topics and often find myself getting lost or doing additional reading while researching names and terminology. I think it’s funny that my favorite depos so far have been the Rothstein Ponzi scheme work because I would ordinarily consider anything with numbers to be fantastically boring. Least favorite has been depos of people who have been fired or laid off from AT&T — I’m sure there’s some residual bitterness there. Anything you can do to learn more about your chosen profession is worth the investment – of time or money. 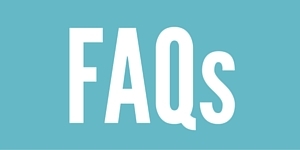 I think the investment of that time and money demonstrates to prospective clients that the scopist is serious about choosing this profession and dedicated to being a “professional.” Additionally, a scoping course is important because it provides basic, entry-level experience into a constantly-changing environment. I think the most surprising thing about this profession/industry is how network-driven it is. Most of my clients came to me via word of mouth and/or referrals from other scopists and reporters. The absolute best thing you can do for yourself in this profession is to build a network. Produce quality work so that fellow networkers are not afraid to speak your name. And don’t be afraid to refer other scopists. A huge thanks (and congratulations!!) to Darice for being real about life as a scopist! It sure does have its ups and downs, but the freedom and flexibility makes it all worth it. 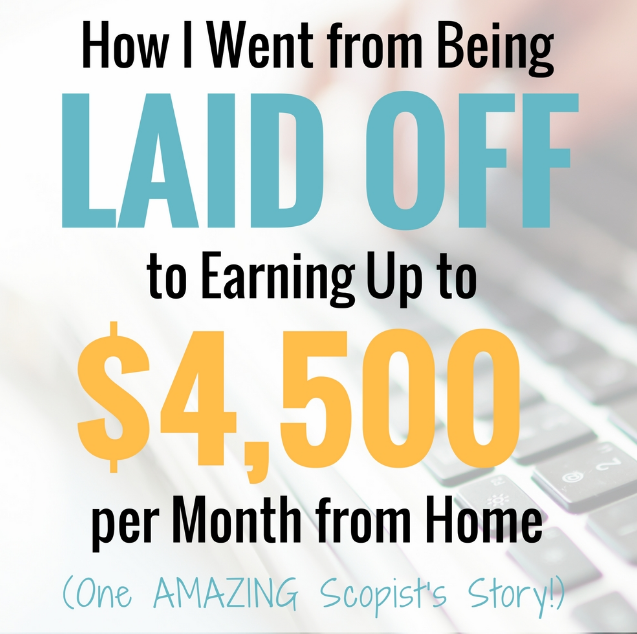 We really appreciate that she shared her income amount too — it’s important for prospective new scopists to see what’s possible. And $500-$800 a month, as a beginner, is an excellent amount that’ll cover some serious bills! Way to go, Darice! Darice, Thank you for sharing your story. Having been a scopist for all of two months now, it’s encouraging to see that others’ experiences mirror my own, that success doesn’t happen overnight, and that it is possible to make a living wage. And as for looking out your window and seeing all of Texas — just priceless. Thank you for commenting, codonnell. Stick with it! Best wishes for fabulous success in your new profession! Great story, Darice. Ain’t scoping great? Darice, I got a kick out of seeing “CAD Tech” in your work background, since I also worked for eleven years as a CAD Tech prior to being laid off when the company closed it’s doors. I have been looking for something completely new and I think this might be it, but I was wondering how you handled the ‘career change’ on places like your LinkedIn profile? Just curious, since the two career fields are COMPLETELY different. Thanks for any insight you can give me on that, and congratulations on your success. P.S. I am also a fellow Texan, but I’m in North Texas about 100 miles from Dallas. Thanks so much for sharing your testimonial and your experience. For years, I have been seeking this kind of opportunity but I didn’t quite know how to articulate what I was seeking. The Internet Scoping School website, coupled with the description of your experience gives me a good picture of the field of scoping as well as hope that I will excel in this field. Thanks so much for sharing. It was very helpful to me. So glad to hear it! I’m glad you signed up. 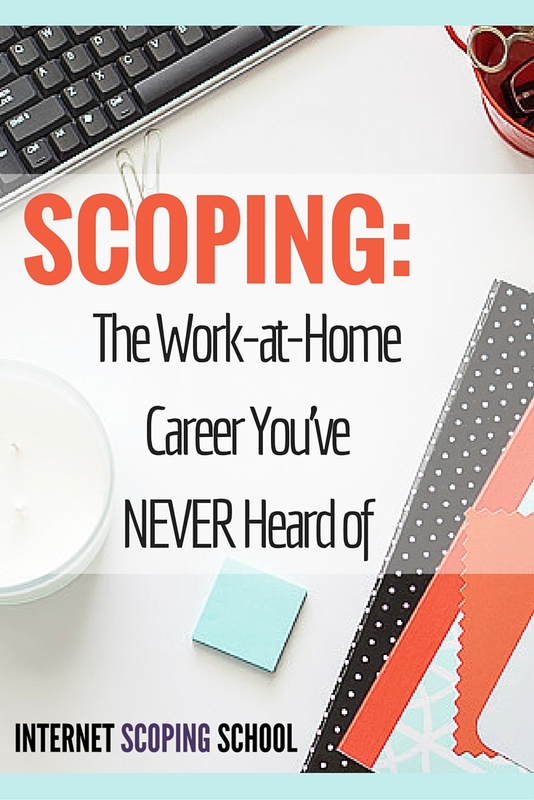 I have a feeling you are going to love scoping! I love this story! I’ve read it several times, and visited your website on numerous occasions as I consider whether or not this is the right career move for me. I’m a South Plains farm girl myself! I live just down the road from you in Lubbock. I’m glad you enjoy the articles. We have some great stories from grads of ISS!